Zylon®, the commercial name for PBO fiber, manufactured by Toyobo Co., outstands for superior tenacity and modulus against aramid fibers and for a remarkable stability under constant load, which makes it suitable to replace steel rod for rigging. Easily recognizable by its distinctive gold color (darker than Kevlar®), this fiber is featured by a great abrasion resistance and excellent heat-resistance, withstanding much higher temperatures than aramid fibers. PBO Zylon® is however very sensitive to UV light and moist. Caution is required for applications involving flex fatigue. Zylon® is a registered trademark of Toyobo Co., Ltd. Contact us now and find out what Zylon® can do for you. Easily recognizable by its distinctive gold color (darker than Kevlar®), this fiber is featured by a great abrasion resistance and excellent heat-resistance, withstanding much higher temperatures than aramid fibers. PBO Zylon® is however very sensitive to UV light and moist. Caution is required for applications involving flex fatigue. Zylon® (IUPAC name: poly(p-phenylene-2,6-benzobisoxazole)) is a trademarked name for a range of thermoset liquid-crystalline polyoxazole. This synthetic polymer material was invented and developed by SRI International in the 1980s and is manufactured by the Toyobo Corporation. In generic usage, the fiber is referred to as PBO. ZYLON® (PBO fiber) is the next generation super fiber with strength and modulus almost doubles that of p-Aramid fiber. ZYLON® shows 100°C higher decomposition temperature than p-Aramid fiber. The limiting oxygen index is 68, which is the highest among organic super fibers. There are two types of fibers, AS (as spun) and HM (high modulus). HM is different from AS in modulus, moisture regain and etc. 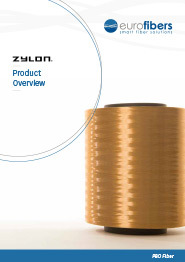 ZYLON® has the highest tensile strength and tensile modulus among High Performance Fibers. Some say PBO is the next generation of super fiber. Its strength and modulus are higher than those of any synthetic fiber on the market. Over the past eight years PBO has become renowned as a fiber rigging core material and proven its remarkable longevity. The applications of PBO fibers are vast owing to the excellent properties mentioned before. PBO fabrics are light and flexible, providing improved comfort and mobility, and are ideal for heat and flame resistant work-wear such as for fire fighters. Motorcycle suits have particular areas, such as the knee and elbow regions, reinforced with PBO fabric, providing the required excellent heat, flame and abrasion resistance. As with aramids, PBO is ideal for ballistic protection fabrics and panels owing to its high energy absorption and rapid dissipation of impact by the fibrillar morphology.General applications for reinforcement include those for tyres, belts, cords, etc. as well as for optical cables. Chemical Resistance to Acid: Strength loss in HCl, HNO3, H2SO4 & NaCl. Chemical Resistance to Organic Solvent: Strength loss in NaOCl. ZYLON® is shipped with zero twist. A certain twist has to be applied in order to measure its correct tensile strength. These figures show the influence of twist factor on tensile strength and modulus for 555 dtex ZYLON® yarn. For different dtex yarns, optimum twist level can be estimated by using twist factor. Twist factor is defined by the following formula. Creep parameters (slope of straight line in above figure) are compared with p-Aramid fibers. ZYLON® shows less than half of creep parameter of p-Aramid fiber. Creep strain is measured under 50% of the breaking load for each fiber. Note that the actual load applied to ZYLON® is almost double that of p-Aramid fiber. ZYLON® has a 100°C higher decomposition temperature than p-Aramid fibers.  Thermal gravimetric analysis charts in air and argon gas are shown below. The heating rate is 20°C/min. A significant difference of weight loss behavior is observed at 500°C between ZYLON® and Aramid fibers. The strength of ZYLON® decreases in the condition of high temperature and high humidity. The residual strength after a 50 hours treatment with saturated steam at 180°C is 40-50%, which is between p-Aramid and copoly-Aramid fiber. A significant difference of weight loss behavior is observed at 500 C between Zylon® and Aramid. The strength of ZYLON® gradually decreases even at the temperature of less than 100°C in high humidity condition. ZYLON® fiber should be stored free from high humidity at normal room temperatures. Zylon® shows extremely high flame resistance. In a vertical flame test (JIS L1091 A-4), char length is almost zero. Exposure to strong acids causes strength losses. However, Zylon® is more stable than p-Aramid.